Ever since St. Germain became a smash hit, other spirit manufacturers have been trying to crack the code and compete. The first real competitor we saw to St. Germain was Esprit de June which used “ephemeral vine-flowers from ugni-blanc merlot and cabernet-sauvignon” instead of St. Germain’s elderflower. While Esprit de June was good, it found out the hard way that competing with St. Germain is no easy task. One of the keys to St. Germain’s success is that it is extremely easy to use – add a small amount to any sparking wine and you’ve got an instant cocktail. St. Germain also developed the moniker “Bartender’s Ketchup” because it’s an easy ingredient bartenders could use to spruce up otherwise lackluster drinks. Pavan Liqueur de France (18% ABV / 36 proof) is clearly aimed at taking on St. Germain with its French inspired name and an art deco / art nouveau inspired bottle. As with Esprit de June, Pavan Liqueur de France stays away from using elderflower and instead gets its floral notes from orange blossom water as well as small white muscat grapes grown in the Frontignan region of southern France. The base of Pavan Liqueur de France is a mix of muscato eau de vie and the juice of white muscat grapes. This is a very similar kind of mix as Pineau des Charentes, an aperitif wine which you’d find in the Cognac region of France. Pavan is aged in oak casks for 1-2 years, after which orange blossom water and sugar are added. The nose on Pavan Liqueur de France is very sweet and rich, dominated by the orange blossom and muscat grapes. The sweetness and orange notes are so strong that the nose reminds us a lot of both fruit punch and an orange Jolly Rancher. With all that sweetness it’s almost impossible to pick out the aroma from the base spirit. If you didn’t know that Pavan had alcohol in it, you wouldn’t be able to tell by its nose. Pavan’s entry is as sweet as the nose, significantly sweeter than a dessert wine and much sweeter than St. Germain. To be fair, liqueurs like Pavan aren’t really meant to be sipped neat, and the sweetness neat is so cloying it needs to be mixed or put over a lot of ice to be drinkable. Pavan does have some really interesting things going on in the midpalate, and once the orange blossom notes subside you get some really nice sweet muscat grape notes. It’s also in the midpalate that you finally get a hint of alcohol, but it’s so subtle it would be easy to mistake Pavan for being non-alcoholic. 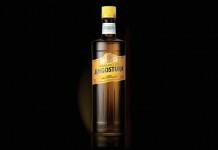 The finish is sweet and long and combines the orange blossom notes with the underlining muscat grape. Because of its grape base, Pavan does mix well with sparkling wine. With its inherent sweetness, Pavan does better with a crisp, dry, prosecco that a sweeter or full bodied cava. When mixing with Pavan, a little goes a long way, and using too much will quickly overpower a drink. In addition to sparkling wine, Pavan also did well when mixed with sparkling mineral water and ice for a very light and low alochol cocktail. A little Pavan added to some black iced tea makes for a nice riff on Southern sweet tea. 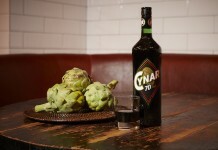 Because Pavan is so sweet, it’s important when mixing with it to back off or omit simple syrup in any cocktail recipe. Does Pavan have what it takes to compete with St. Germain? Maybe. 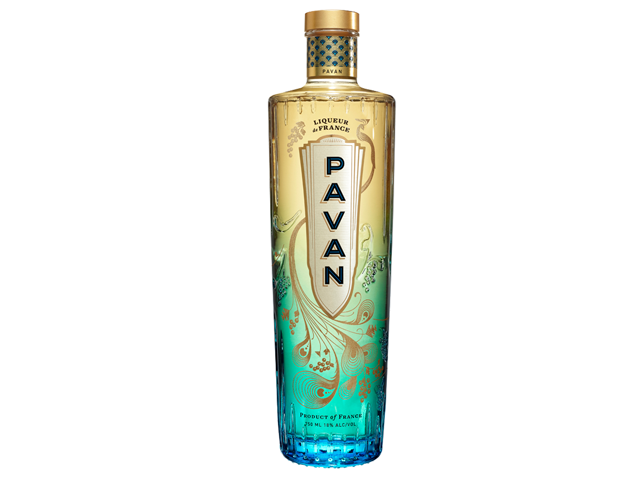 Like St. Germain, Pavan is a very easy mixing liqueur, but unlike St. Germain, Pavan has a habit of quickly overtaking the things you add it to. Pavan’s underlining grape notes are really nice, but the high sugar and overuse of orange blossom water really cover them up. Pavan is being imported into the US by Suntory, with a fairly solid marketing push and many of the key elements that made St. Germain a success. Unlike St. Germain, which found a foundation in the mixology world, we think Pavan will appeal directly to end consumers who will look to Pavan as an alternative to other ready to drink products, and perhaps as a harkening back to the sweet wine coolers that were quickly downed on hot summer days.